There is a condition that contributes to many failures of engines generally referred to as “fuel wash”. 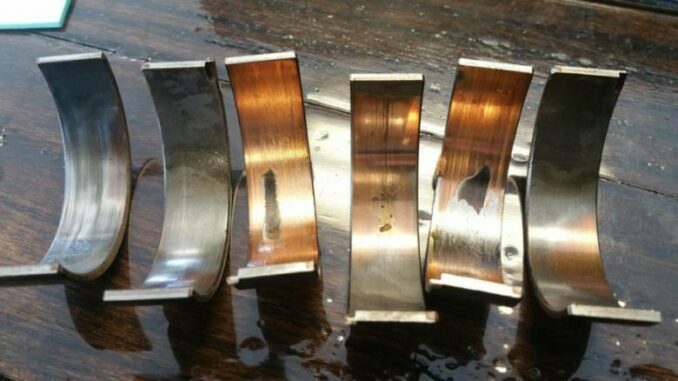 The only thing protecting your cylinder walls and bearings from fuel wash is the thin layer of oil on them. When you douse the inside of the engine with raw fuel, you wash-off that protective layer of oil. 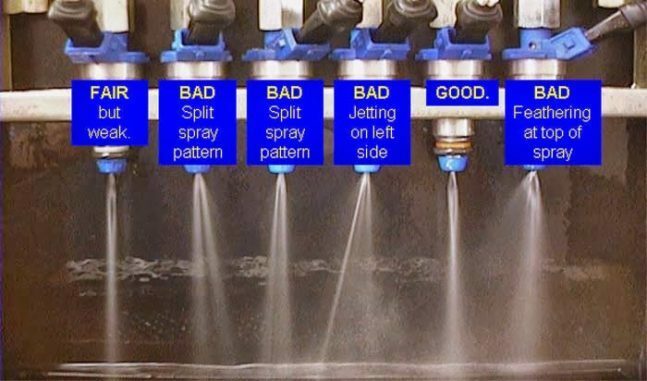 Fuel wash is caused by too much fuel in the cylinders that can’t all get burned. So, What is left over is a wet mixture of raw fuel that literally “washes” the oil away. Carburetors were partly to blame because rich fuel mixtures wash the lubricating oil off the cylinder walls and dilute the oil in the crankcase. Fuel injection has all but eliminated the fuel wash problem, But it still happens. A common symptom of a potential issue with a fuel injector is a fuel smell. Pull out your oil dip stick and smell the oil on it. If it smells like gas, then raw gas is getting past your rings and into the oil. 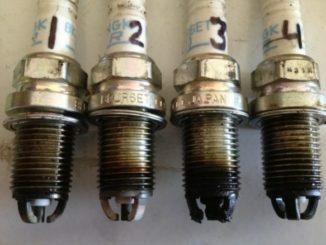 Remove a spark plug or two and see what they look like. A plug fouling from fuel will have a fine, black sooty powder on it. If you are really running rich, the plug may be wet and smell like raw fuel. The number one cause would most likely be leaking fuel injectors. This takes place when the engine is off. Due to pressure on the fuel rail, fuel will push itself down into the cylinder of any leaky injector and gradually drip into the oil pan. But in this case, you will observe that the car would hard start and rough idle, especially when parked overnight, until the dumped fuel in the cylinder clears off. 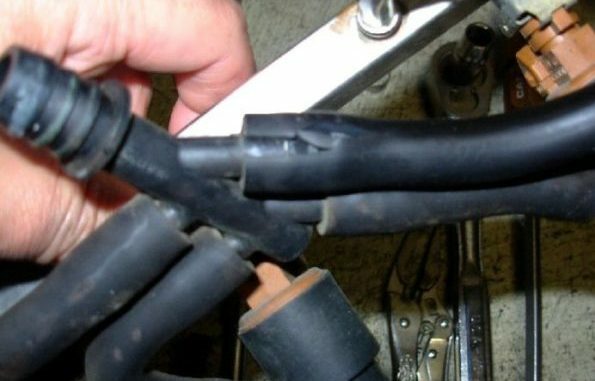 Vacuum leaks in today’s computer controlled engines can cause very serious engine damage. 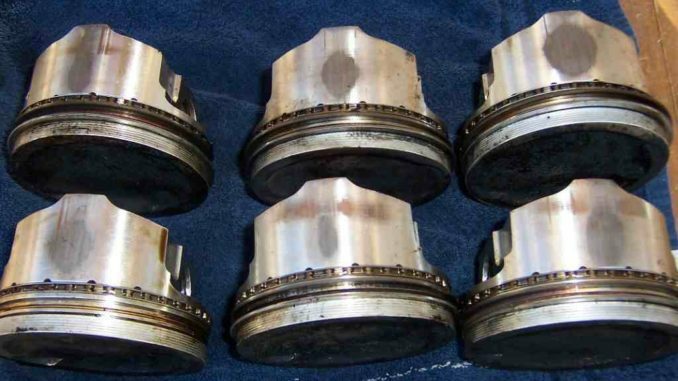 When an engine that has computer controlled spark and fuel systems has a vacuum leak, the following events occur. Because the vacuum leak pulls in outside air, immediately the fuel air ratio is altered to a lean condition. The lean air/fuel condition is picked up by the exhaust oxygen sensors who, in turn, report this to the computer. The computer then tells the fuel system “hey, we need more fuel”. The fuel delivery is now altered to inject more fuel. The result of this is an over supply of fuel that can result in a fuel wash condition. The fuel diluted the oil on the cylinder walls until metal to metal contact occurs. At this point metal to metal contact occurs and scuffing takes place. This condition is similar to and also sometimes referred to as dry start. A rebuilt engine that has been correctly assembled will start almost immediately. If after a reasonable period of cranking the engine does not start, something is wrong!! 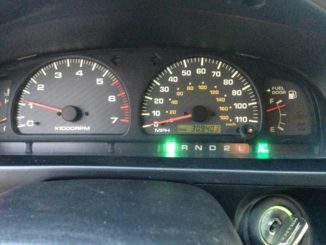 At this point the compression, ignition, and fuel systems should be checked. Without spark, the fuel being drawn into the cylinders will reach a saturation point and fuel wash will occur. As a result, it will severely dilute and thus weaken the oil film, and scuffing will start. Although diesel fuel has increased lubricity over gasoline, fuel wash still must be avoided or serious damage will result. Also, Engine manufacturers’ manuals should be consulted and closely followed. This includes correct fuel timing, fuel/air ratios, servicing of injectors, pumps, etc. Fuel filters and water removal systems should be fully serviced at overhaul. 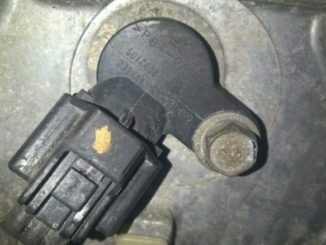 In general, good engine maintenance, and good common sense can all but eliminate this potentially serious problem. What Is Misfiring And What Are The Causes Of Misfiring?